HUGE SALE in Progress Now! Select Wedding Dresses, Prom Gowns, Special Occasion & Mom’s Dresses!! LynDen Rose Bridal in Pueblo Colorado offers wedding dresses, plus size wedding dresses, bridesmaid dresses, flower-girl dresses, prom gowns and tuxedos, Quinceañera gowns, and dyeable shoes for the Pueblo, Colorado region. Our bridal and formal wear selection ranges from $198 to $2,000. We have gown for every desire and budget. Our staff is always ready to assist you with your wedding dress and any special occasion you may have. 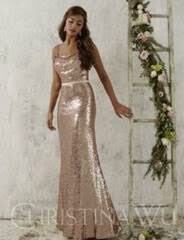 Wedding and bridesmaid dresses are available in sixty nine colors and we carry extended sizes 0-34. We have mom’s dresses, party, cruise, and the very best prom selection, flower-girl dresses, and tuxedo rentals. Our sales people are not high pressure and you are welcome to browse. We have in store professional seamstresses to assure your gown fits perfectly. A 50% deposit is required on all special orders; balance to be paid within 30 days after gown arrives. Special orders may be in stock, or if not, you will need to allow 12-14 weeks for delivery. We do offer in store sales and you may purchase off the rack at any time. Steaming your gown is complimentary. Alterations are always an additional charge and depend on what alterations are needed – making the perfect fit determines the price. We offer personalized service and we care about your special occasion. We discourage Internet purchases of special occasion gowns. LynDen Rose Bridal has been in business since 1985 – we love servicing our customers and we are very proud of our outstanding reputation.